If your garage door springs or opener break down, get in touch with our friendly team. We specialize in repairing and replacing garage doors from all major manufacturers and provide only the best quality on the market. From panel repairs to garage door parts, there's nothing our specialists can't tackle. We know how important it is to have a garage door repaired as soon as possible after an incident occurs. This is why we offer an emergency repair service, so you can have your door up and running again the same day you call us. Whether it's a problem with cables or springs, we can have a look and get the job done in the shortest time possible. 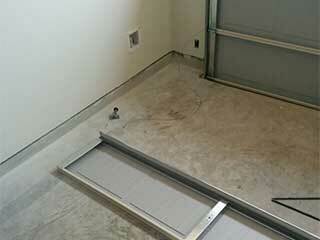 This way, you can enjoy a safe and secure garage once again without having to spend a night with an unsecured door. The cables that operate a garage door often become stressed and fatigued, which means they can't sustain the door as they should. This may result in an unsafe door for your car and your family. Whenever you notice that something is wrong with the cables of your door, get in touch with us and we'll repair or replace the cables right away. Garage door openers go through a lot every day, which means that they are bound to malfunction at some point in time. When they don't work as they should, they may only be in need of a basic repair. Our knowledgeable technicians can address any issue regarding the repair and maintenance of your opener. We carry and service all makes and models of openers including Craftsman, Sears, Chamberlain and more. Call Garage Door Repair Newton today for reliable service that you can only get from our established local team!